I saw this on Pinterest and was a bit skeptical, but it really works. 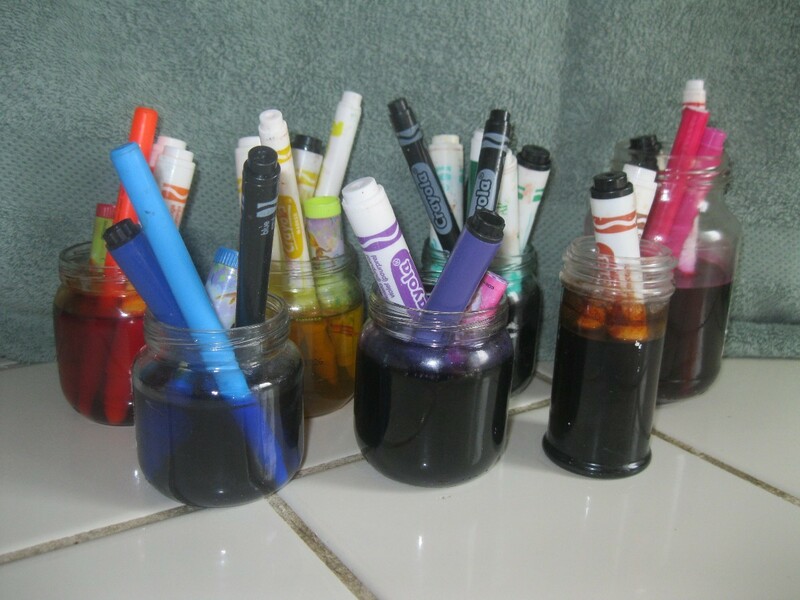 Instead of throwing away all those dried up markers, you can create paint for the kiddos, or yourself, with them. Separate the colors (reds, blues, greens, etc.). Put each group of colors in a small jar with water. I used baby food jars, an empty spice jar, and a small cherry jar. The reserve of color left in the markers will color the water. Let jars sit for a week in a sunny spot. 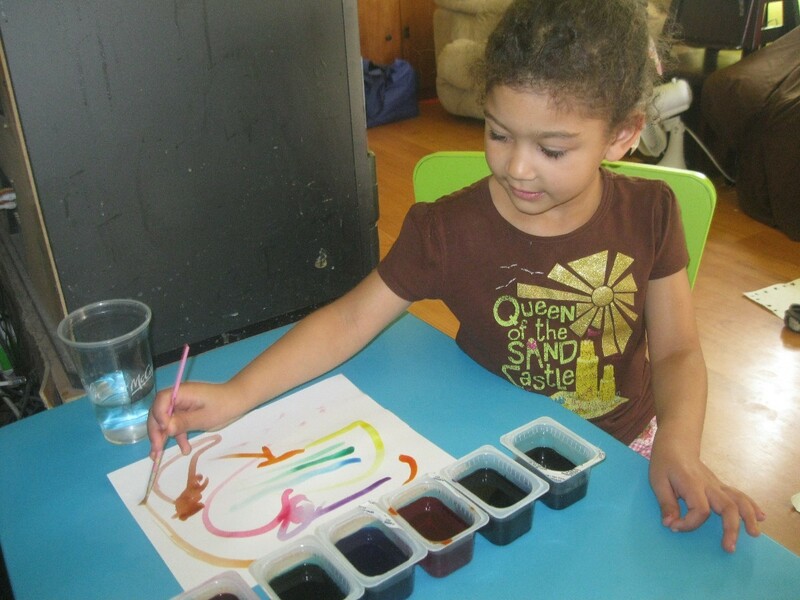 Don't worry about the water evaporating a little, it just concentrates the color. After a week, take the markers out of the jar. 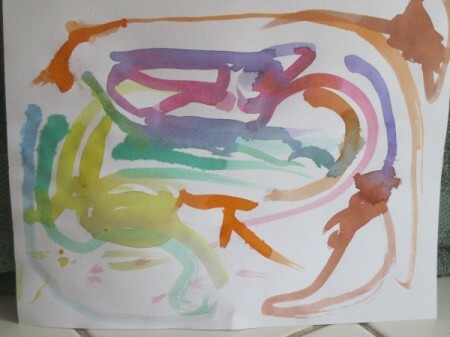 I was really surprised by how vibrant the colors were when my kids painted with them. My kids had a lot of fun. There is a ton left, too. Gotta love that it was all free! This is an incredible idea, I never would have thought of it in a million years... so cool! 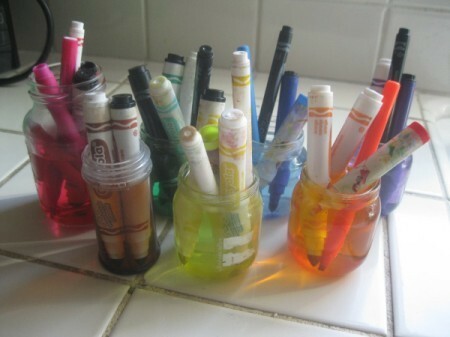 I've heard that rubbing alcohol will restore the colors once absorbed. Awesome idea! One question...how much water did u use?